Posted on 04/19/2019 by mdxpc	in Live Review and tagged Black Cat, Coke Bust, Colombia, Damaged City, Damaged City Fest, Haram, Japan, Low Vision, music festival, punk, Raw Brigade, straight edge. 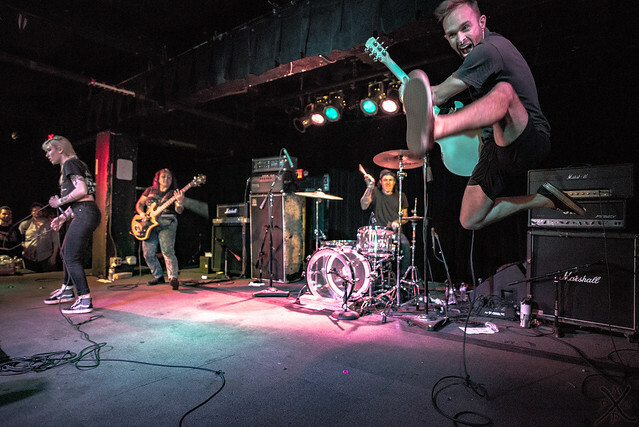 For the past seven years as the cherry blossoms along the tidal basin reach their peak, there has been a swelling of excitement within the underground punk scene. 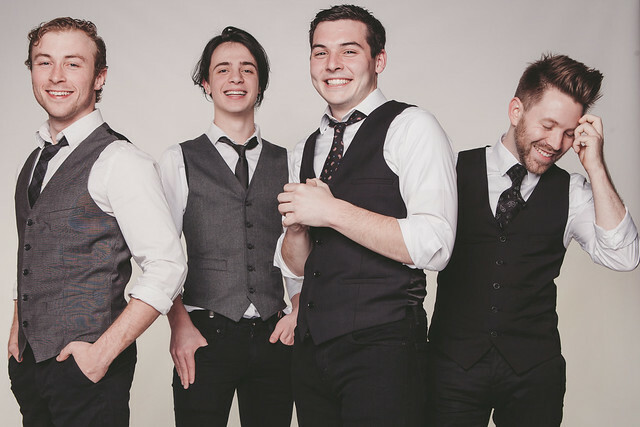 With the fragrant blooms comes DC’s Damaged City Fest — the brainchild of Nick Candela and Chris Moore. Posted on 04/18/2019 by Parklifer	in Preview and tagged Daniel Miller, Depeche Mode, Durham, Kimbra, Martin Gore, Moogfest, Moogfest 2019, music festival, Mute Records, North Carolina, Questlove, synthesizer, synthpop, Thomas Dolby. Moogfest, the top synthesizer festival and conference, celebrates its 15th anniversary in Durham, North Carolina, on April 25-28, 2019. 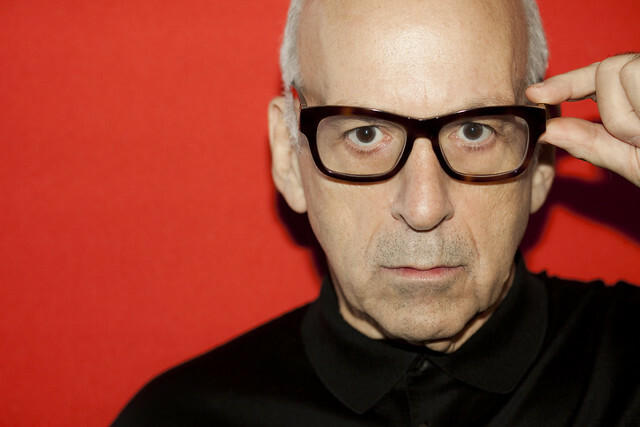 The festival will feature a keynote presentation by Martin Gore of Depeche Mode as well as Daniel Miller of Mute Records, along with performances by Thomas Dolby, Kimbra, GAS, Tim Hecker (performing with the Konoyo Ensemble), Matthew Dear, US Girls, and more. Moogfest recently released the full schedule of events for this year’s festival. Here is our list of the Top 10 things to see and hear at Moogfest 2019! 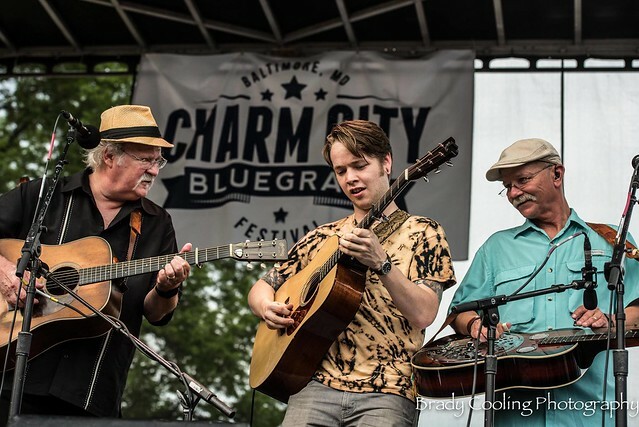 Posted on 04/17/2019 by Parklifer	in Preview and tagged Americana, Baltimore, bluegrass, Charm City Bluegrass Festival, Deer Tick, folk, Jeff Austin Band, Maryland, music festival, Steep Canyon Rangers, The Bridge. The award-winning Charm City Bluegrass Festival will take over Baltimore’s Druid Hill Park for a seventh annual celebration of bluegrass, folk, and Americana, headlined by The Bridge, Deer Tick, Steep Canyon Rangers, and Jeff Austin Band, for two days on Friday, April 26, and Saturday, April 27. Posted on 04/04/2019 by Parklifer	in Local Spotlight, Preview and tagged American Television, Breakin' Even Fest, Dangerously Delicious Pies, Kali Masi, music festival, Pie Shop, punk, World's Scariest Police Chases, Worriers. 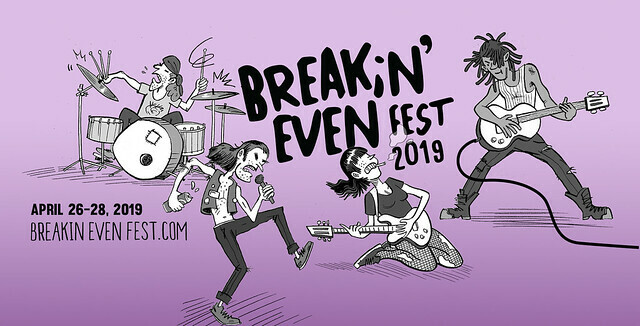 Members of the DC punk band American Television started Breakin’ Even Fest in 2016. The fourth edition of the annual rock festival is now right around the corner at The Pie Shop in DC on Friday, April 26 to Sunday, April. 28, with headliners Worriers, Kali Masi, and Worlds Scariest Police Chases. Poll: 2018 Thrushie Awards — Results! Posted on 12/05/2018 by Mickey McCarter	in Live Review, Local Spotlight and tagged 9:30 Club, Appaloosa Festival, awards program, Bacchae, best of dc, best of the year, Broke Royals, City Winery, DC Rocks Music Festival, music festival, Pie Shop Bar, ShamrockFest, Sol Roots, The Anthem, Thrushie Awards. Parklife DC today announces the best in DC concerts with our inaugural awards program, named for our mascot, DC’s own state bird — the Wood Thrush. Our Thrushie Awards salute bands and venues in line with our mission to review live music concerts. Congratulations to the 2018 Thrushie Awards winners, several of whom took their top spots from polling ran by Parklife DC over the last half of November. Poll: What Is the Best Music Festival in DC? Posted on 11/16/2018 by Mickey McCarter	in Live Review and tagged All Things Go Fall Classic, awards program, Black Cat, DC Music Rocks Festival, Funk Parade, Kingman Island Bluegrass & Folk Festival, music festival, ShamrockFest, Thrushie Awards, Tiny Cat Dark Music Festival. Welcome to the 2018 Thrushie Awards! Parklife DC will name the best music festival of the year with your input. Vote for the best music festival in DC now through Dec. 1. Posted on 10/16/2018 by Chester Simpson	in Live Review and tagged Americana, Berkeley Springs, bluegrass, Brokedown Hustlers, Cabinet, Danny Moore, Empire Strikes Bass, folk, Jared Pool, Larry Keel, Larry Keel Experience, music festival, Pappy, roots, Sleepy Creek, Sleepy Creek HarFest, Strung Like a Horse, The Kind Thieves, The Plate Scrapers. When I look back at every festival I attend, there is a definitive moment where everything clicks, and I have an epiphany of sorts wherein I come to understand what that festival means to me.